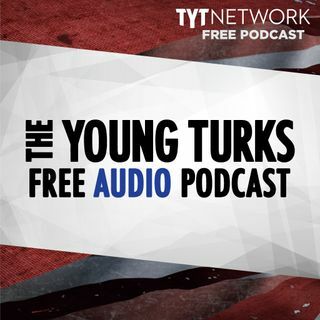 A portion of our Young Turks Main Show from March 6, 2018. For more go to http://www.tytnetwork.com/join. Hour 1: Cenk & Ana. Trump rebuffed claims Tuesday that his White House is in chaos amid reports of high-profile departures and discord within the top ranks of the West Wing. "The new Fake News narrative is that there is CHAOS in the White House. Wrong! People will always come & go, and I want strong dialogue before making a final decision," Trump tweeted. "I still ... Maggiori informazioni have some people that I want to change (always seeking perfection). There is no Chaos, only great Energy!" The Turnbull government admits it has no idea if Australia will be exempt from US president Donald Trump’s tariffs on steel and aluminium imports, despite claiming last year that it would escape the levies. Ministers have warned that the tariffs could spark a trade war and lead to global recession, and say Australian officials are scrambling to learn the details of the plan. World stock markets tumbled on Friday after Trump announced he would next week impose tariffs of 25% on steel imports and 10% on imported aluminium, in an attempt to shield local manufacturers from global competition. The U.S. Fish and Wildlife Service has quietly begun allowing more trophy hunting of African elephants, despite President Donald Trump’s pledge last year to uphold a ban on importing parts of animals killed by big-game hunters. Hour 2: Actress Amber Tamblyn faces backlash after Tweeting that Hasidic Jews in New York City are targeting her. Of six crash reports involving robot cars filed in California so far this year, two involved a human approaching the car and attacking it.